Ooh, brr. The weather has taken a turn towards the distinctly chilly today, and while I’m slightly hesitant to call it Fall… I just can’t admit that winter is here yet, so Fall Classes it is! Coming up this Sunday is your last opportunity to take a lesson with our visiting knitter Emily Wessel of Tin Can Knits fame. 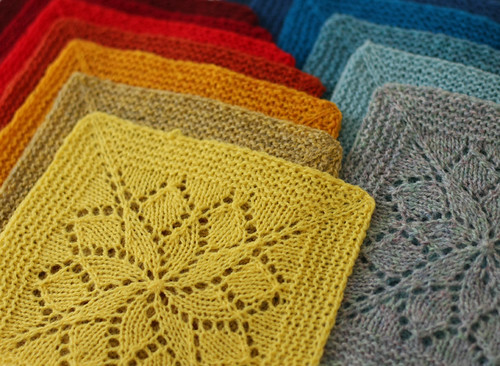 Emily is teaching her fantastic Vivid Blanket Workshop This Sunday, November 3rd in Point Grey from 1-4pm, and if you want a brilliant, portable, colourful, fun project to play around with, you should sign up! 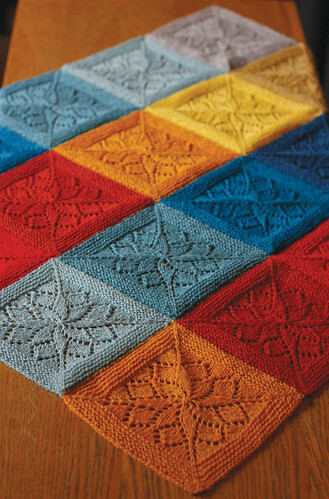 You will make one square, and learn all the techniques required, including the pinhole cast-on, knitting lace from charts, and working in the round using either double-pointed needles, or the magic loop technique, depending on your preference. More information can be found on our classes page. And I would very much like to take this opportunity to flog our bevy of beginner classes! Thinking about knitting gifts for Christmas? Well, it’s not too late, especially not with our incredibly talented instructors guiding you along. Cast on, cast off, knit purl, learn them all! Great for fresh-faces beginners and also excellent as a refresher if you haven’t knit in a long time. We’ve got classes most days of the week, and you can see the whole schedule online here! Some sessions will be starting up very soon, so you’d best take a look, and talk your non-knitting friends into giving it a shot! This entry was posted on Wednesday, October 30th, 2013 at 5:41 pm	and is filed under Uncategorized. You can follow any responses to this entry through the RSS 2.0 feed. Both comments and pings are currently closed.